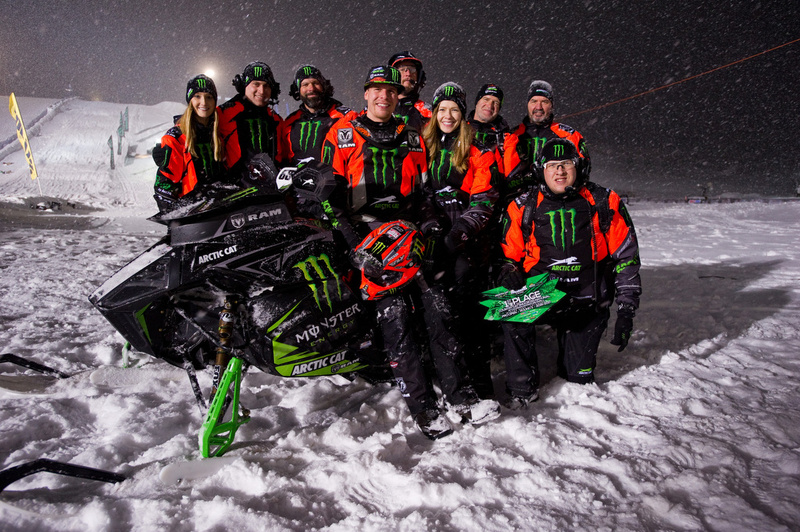 December 19, 2016 – Monster Energy / Arctic Cat / Ram Truck’s Tucker Hibbert returned to the top of the podium and took control of the ISOC National Snocross Pro Open Championship in Winter Park, Colo. Hibbert adapted quickly to Colorado Adventure Park’s wild weather, high-elevation and clockwise track to win three of the four qualifying races and both final events. Heavy snow and high wind gusts forced officials to shorten Friday night’s final from 16 to 12 laps. 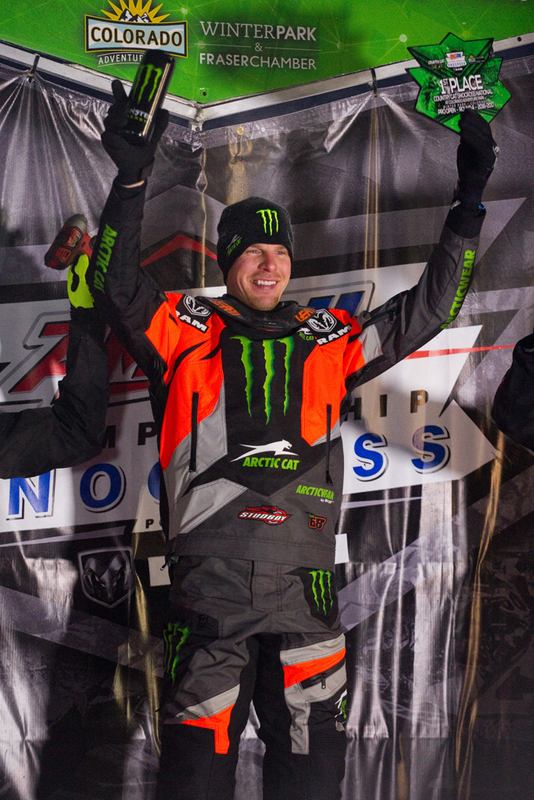 After an 11th place start in the 15-rider race, Hibbert had a tough road to victory. He wasted no time to start moving through the pack, making many of his passes on the steep uphill section of the track. With five laps to go, he took the lead and continued to lay down fast laps to finish nine seconds ahead of second place. Weather once again proved to be a major factor Saturday night with sub-zero temperatures creating heavy clouds of snow dust. 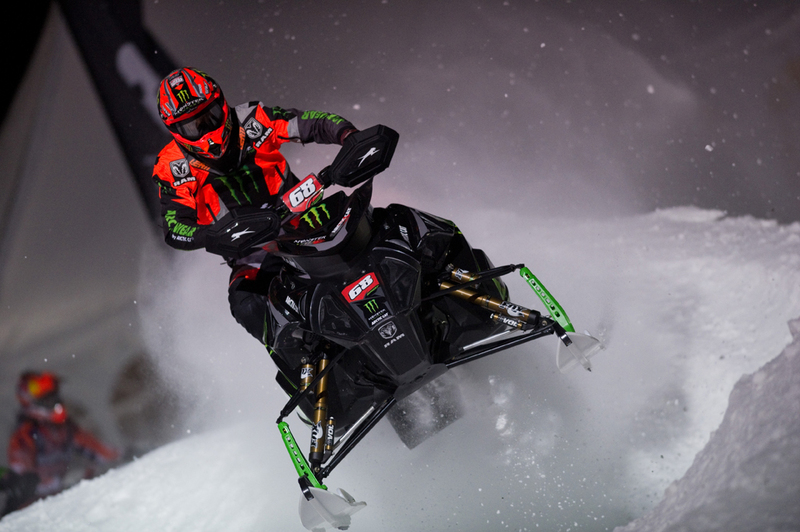 Knowing visibility would be limited, Hibbert put extra focus into a strong start. He pulled third off the line in the 15-rider, 15-lap race and within in two laps, moved into first. With a clear track in front of him, he opened a 13-second gap over second place and rode smart to the finish to complete the weekend sweep.